Chilliwack – Three incumbent Chilliwack School Board Trustees have stated that they will NOT run for re-election including Chair Paul McManus, Walt Krahn and Bob Patterson. They were all rather conservative and moderate and stated that they did NOT want to see the SOGI 123 argument become the election issue prior to the October 20th vote. The candidates who are anti-SOGI 123 that are running are Darrell Furgason, Barry Neufeld, Erma Vietorisz and Kaethe Jones. Heather Maahs has her own views, including her religious beliefs with SOGI but for the most part, tactfully set that aside as a three time School Board Trustee. From her media release: Heather Maahs is seeking a fourth term on the Chilliwack Board of Education. Her continuing belief is that Boards of Education have an obligation to reflect the values and aspirations of their communities. In addition, she will continue to advocate that Boards subject all learning resources to a rigorous analysis, determining whether or not they are evidence based, in order to ensure all student’s needs are being met and parental rights are not infringed upon. One of Heather’s proudest accomplishment of the last term was being the driving force for recording board meetings. People are keenly interested in the decisions this board has made over the past year as illustrated by the numbers who are watching.” Meetings can be viewed at any time on YouTube. Incumbents Dan Coulter and Silvia Dyck along with new candidates David Swankey and Willow Reichelt are also running October 20. 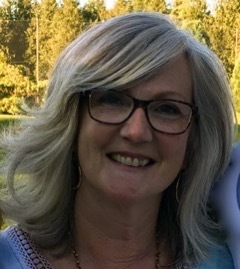 Be the first to comment on "Heather Maahs Will Seek Fourth Term As Chilliwack School Trustee"